Still Life Art ideas to get you started! Home > Artist Career Practices. > Still life art ideas. Going beyond just flowers and fruit, these still life art ideas will get you started on a road that may never end with ideas! Fruit and flower have always been a classic subject for the still life, but don’t just stop there. Never get the notion that you must follow those rules to create something of beauty. If you’re stuck in a rut, I’ve got 6 ideas here that can get your wagon out of the ditch and back on the trail! Try painting something old but unique, dig out that old hand cranked coffee grinder your grandmamma passed down to you years ago. Or maybe the foot driven sewing machine. Maybe you found an old hammer and wood chisel set at an estate sale. Am I getting your creative juices going yet? One of my greatest pleasures is going Yard Sale hunting. My wife and I have a great day of it, and sometimes come away with such wonderful props! Plus, she loves to haggle (she calls it polite negotiating) and takes great pride in chiseling down the price. Try doing a work in a monochromatic or analog color scheme. Click here to see more on the Color Wheel and other color theory stuff. Even a simple black and white painting. This will strengthen your technique in depicting value and subtle-ness of the half tones. It forces you to see the small differences in shade and tones throughout the piece. No matter the medium you work in, the impact of texture always brings the viewer in closer to see how it was done. Include this with impasto passages within you work, especially around your focal object, and very much so in the highlights of that object. Still life art, expanding your possibilities. Deep cast shadows across the piece will lend itself to some fairly abstract shapes. These are always interesting to view and will pull your viewer in to see what can be seen within them. Altering your point of view from the front to above, below or showing only a piece of the entire setup can make for an exciting development. Ariel views are always interesting for it is an angle that is so different. Below normal eye level also makes for some wonderful ideas. Vary the size of your work. If your used to doing 8” X 10”, or 14” x 16”, bust loose and try a 30” X 40” or 36” X 48”. You might surprise yourself in working up to a larger scale and breaking through outside your comfort zone! With all the possibilities available in props, flowers and fruit, isn't still life art such a wonderful genre to paint in! Have a client that wants a work done by you, but not a portrait? Consider the still life! Folks have all kinds of keep sakes that have special meanings in their lives. Obtain some of these items, or close facsimiles, and arrange them. Send a photo to the client for approvals, and have them send photo's of the actual items. 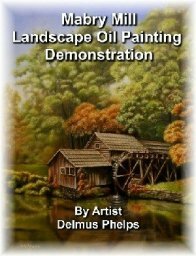 You'll be surprised at how many variations of a single painting can come from this exercise. 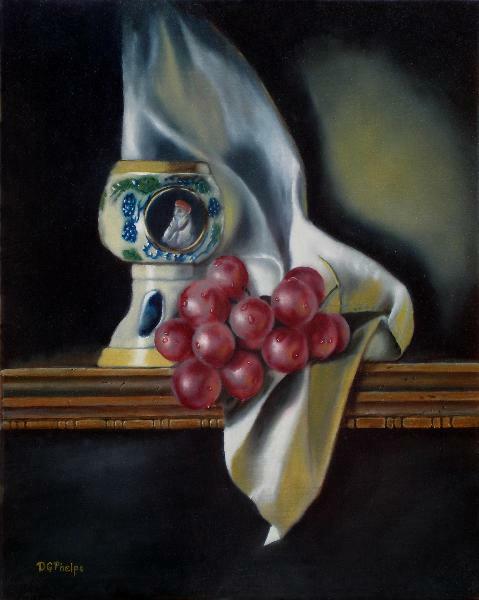 Click here for Still Life Paintings that I've completed for more ideas. 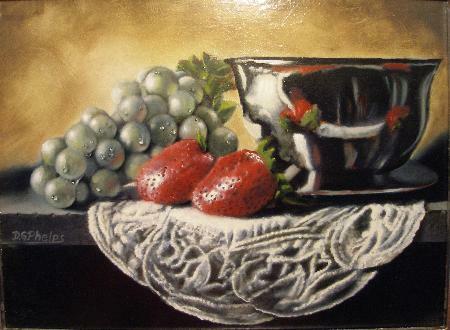 Back to the top of Still Life Art ideas for your painting.